If you live near Columbus, Ohio, a pick up vs mailing can be arranged. 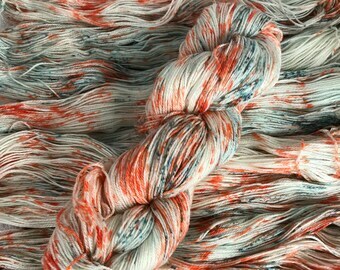 Love it...searched endlessly for the perfect yarn for my shell cottage socks, this is it! Was hoping for a different color but ok.
Oh my goodness I have so much to say about this purchase. First the pictures of the yarn was spot on! I had been searching for very specific shades and this matched perfectly. Shipping was so fast and so carefully packaged. I was beyond thrilled! Please contact me if you are interested in a trunk show - would love to get my lovely yarn in your shop!